Can Medical Marijuana Help with Diabetes? Weed. Pot. Mary Jane. Cannabis. Whatever you call marijuana and wherever you stand on its legalization, it is hard to imagine that there is anyone unaware of the controversy raging around this rather nondescript plant. In the United States, medical marijuana has been decriminalized in more than half of the states but is still classified as a federal crime. Why the conflict? 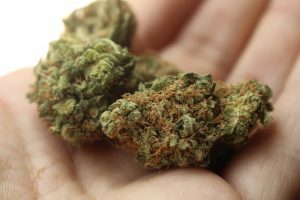 The FDA will not approve its use as a treatment because there have not been enough studies proving its effectiveness and safety, and no one can really do the research because the U.S. Drug Enforcement Administration considers marijuana a Schedule I drug, the same as heroin, LSD, and ecstasy, which means a special and difficult-to-get license is required to study it. In other words, no one can study its safety until it’s proven safe to study. Sounds a lot like the old “don’t go in the water until you can swim” conundrum. Marijuana originated in Asia and has been around for thousands of years. In its spread around the globe, it has been primarily used for medicinal and spiritual purposes. The Vikings and medieval Germans are believed to have used it for toothaches and to relieve the pain of childbirth. The Chinese may even have used marijuana as an anesthetic during surgery. Cannabis finally made its way to the U.S. in the early 20th century and the 1937 Marijuana Tax Act promptly made even possession of the plant a crime. To acquire medical marijuana, you must have a qualifying condition and a written recommendation from a licensed doctor in states where it is legal. Not all doctors are willing to recommend medical marijuana for their patients. ← How Can I Prevent Type 2 Diabetes?